Ticks—those nasty, vile creatures are out en force. 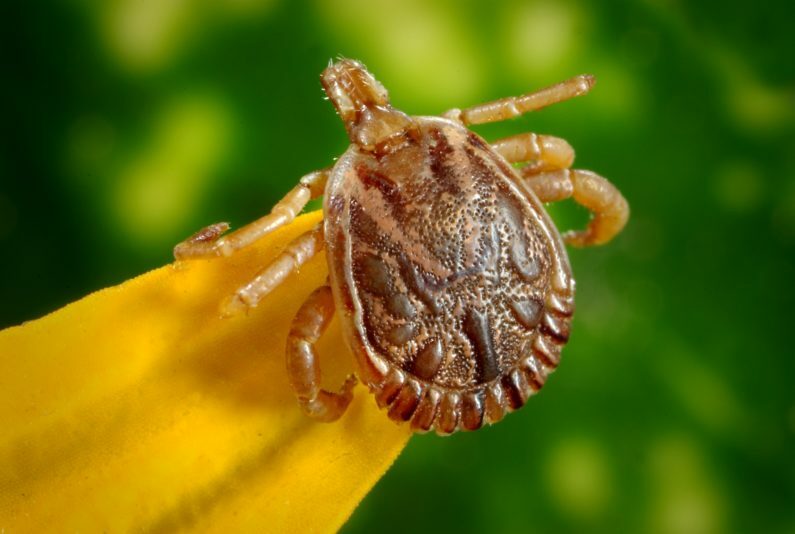 I was in the process of putting together this blog regarding ticks, when into my inbox appeared a similar email from my wonderful naturopathic physician in Helena, Montana, Dr. Joanna Dove. She had some wonderful information, so I decided to share that information on here. As many of you know, I was diagnosed with chronic Lyme disease in January of 2017. Please hear me: Ticks and the many diseases, including Lyme, are nothing to be taken lightly. Last summer the CDC expected 300, 000…yes, 300 THOUSAND, new cases just last year. I have not yet seen this year’s estimate. It is the largest epidemic and getting worse. And the sad part is that in states like Montana, many physicians will tell you, “There’s no Lyme here.” I will tell you that that is completely FALSE. If I physician tells you that, look for another. Lyme is everywhere. People are being dismissed by medical personnel who just don’t get it. They are not receiving treatment, or are receiving improper treatment. Much of the time they are being told they are crazy. There are ones that do get it, and I’m fortunate that Dr. Dove was one of them. It has been a long road, and the goal is to get the Lyme and any co-infections (babesiosis, bartonella, ehrlichiosis, and more) into remission. Even those having been given the standard antibiotic doses often have symptoms recur years later. I chose the herbal and homeopathic route, and the latter I had great success with. Also, cold laser worked for me in conjunction with the homeopathic. My thought on the antibiotics and long-term use, particularly in those with chronic Lyme, is that it is destroying your gut. And up to 80% of our immune system, which we need strong to go after the Lyme, gets destroyed. I was unwilling to do that, particularly when the long-term use can have little to no effect on the Lyme, and cause side effects that make many feel even worse. If faced with Lyme, especially later diagnosis, explore all the options to find what works best for YOUR body. I preach that regularly here, as you all know! Everyone’s body is different, and you must be your own best advocate, and you know your body best. If something doesn’t feel right, it isn’t. This will be a tad long, but I feel I need to tell my story in detail, in the hopes that it may help someone else in similar situations to mine. In my case, I can trace my initial symptoms back to 2006. I never saw a tick. About half the people with Lyme don’t! I also didn’t see a bulls-eye rash. Many people don’t. But, I can pinpoint the symptoms and the summer in which they began. I just went about life seeing specialists, none of whom could find cause for my joint and connective tissue issues, rapid heartrates that sent me many times to the ER, rashes. Ugh. Then in 2012 I was stung in Arizona by a small hornet. I flew home the next day and thought my flu-like symptoms were from flying. I did nothing. A few days later appears a bulls-eye rash. And, it grew. It looked like the Target ad! Lyme is only transmitted through ticks. Or so I thought. I did nothing. I developed more symptoms that I dealt with, while getting no real cause diagnosed. I just knew I was not right. And the chronic fatigue…wow. I had radically changed my diet to Paleo and Autoimmune Paleo in the time all of this happened. Thus, there were times I was symptom-free, and I believe in remission. In December of 2016 I had a dental implant placed. I didn’t know about Lyme then, or about how it can drastically affect your mouth. Well, the implant didn’t like being covered up, and got inflamed. I was told I needed an antibiotic. Those of you who know me know that I don’t take Tylenol, let alone antibiotics. But, I didn’t’ want to lose the implant, so I agreed. The day after the antibiotics began, it was like I got hit by a truck. Hit and run! I went back to the oral surgeon. The assistant looked at me, and I looked so badly, that she asked, “What happened to you?” I told her, “This is what antibiotics do to me.” The tooth got better quickly, I didn’t stay on the antibiotics, but I never got better. I was seeing a client in Dr. Dove’s office and told her I needed to see her—that something was very wrong with me. The good thing was that my diet was impeccable, I had very little stress, which I was managing, and we couldn’t find any normal reason for how horrible I felt and how fatigued I was. We did bloodwork, and it was so off my normal, terrific levels, that we knew I was in some sort of trouble. The brainstorming began. I had seen Lyme mentioned in autoimmune Facebook support groups, so I looked up the symptoms. I couldn’t believe it. I had so many of them. But, I had never seen a tick! I also researched and found that it is now believed that anything with a vector can transmit the bacteria! Hello, hornet! I texted Dr. Dove and told her I had gotten a bulls-eye rash 5 years prior after having been stung. She said, “Dear that’s Lyme!” We did the usual blood tests; part was very conclusive, other parts inconclusive. When you’ve had the disease for so long, it burrows deep. It makes it difficult to detect in blood tests. The antibiotic the dentist described was actually a blessing. It caused a huge reaction in the Lyme, which is how we discovered I had it! I decided on herbals first, and I couldn’t tolerate them, even at the lowest dosages. It flared up symptoms I hadn’t experienced in literally years. This is called the Herxheimer effect, which is the die-off of the bacteria making things worse at first. After months of this, I wanted something different. This was the transition to the homeopathy. I began that protocol, then Dr Warren Smith, my chiropractor, got an Erchonia low level laser. I began using that with the homeopathy. The debilitating sweats (from the babesia co-infection), completely disappeared. Completely. Though it took the better part of a year, trial and error, detoxing with saunas, I reached remission in late December of 2017. I owe so much to Dr. Dove for not brushing me aside and being a wonderful doctor and resource, and my friend. I will put her contact information at the bottom of this blog. My points in this are to be aware, of both ticks and your own body. Never give up. If you know something isn’t right, address it. Know that the better care you take of your body, including what you feed it (sugar feeds the bacteria! ), you will instantly know when something is not your normal. You should physically be feeling great. If you don’t and think that’s the way to live, that it’s “normal,” I invite you to look at making changes. Now. Many with Lyme live in complete misery. I believe that due to my diet and lifestyle, I am able to live a full, happy, extremely active life. That’s how life should be. Not existing, but living. Before hiking seal up pant legs and shirt sleeves with a Velcro strap, button neck collars; or wear form fitting clothing. Use a natural topical repellant (cedar oil, rosemary, clove, oregano, citronella and garlic essential oils). (I do not recommend Deet.) Recipes are included below! I also highly recommend rose geranium, lemongrass and eucalyptus globulus essential oils. Stay on the trodden path rather than bushwhacking cross country; avoid brushing arms, legs and head against low hanging or outstretched limbs. Keep dogs on leash so they too can stay on paths. When arriving home after your hike, ask a family member to check you for ticks, change clothes and put them in a sealable bag until you can wash them. Check your dog as well; they too are vulnerable to infection. First, and most importantly – Do Not burn, cut or otherwise try to destroy the tick as this can cause it to regurgitate saliva into your body. (An affected tick carries the Lyme spirochete in it’s body fluids.) People have used oils, vasoline, etc to get the tick to back out. Do not do this! Use tweezers, grasp the tick close to it’s head with a firm, steady perpendicular pull; be patient, you want the tick to voluntarily release. This is the only safe way to remove the tick! Second: Save the tick!! Keep it in a sealed jar; do not add alcohol, do not kill the tick if it is still alive. (See IgeneX website for information on their tick testing.) Testing the tick for the Borrelia burgdorferi or co-infections such as Babesia and Bartonella will save you a lot of stress and frustration if are unsure about whether you have been infected. Note: Over half the patients diagnosed with Lyme disease do not remember getting a tick bite; the nymph form of the tick is as small as a pin head and exposures are easily missed. Infection: Watch for flu-like symptoms in “un-flu-like” seasons. If you know that you have been exposed and develop unusual or flu-like symptoms (fever, chills, fatigue, body pains, paralysis) especially in spring or summer, you may be fighting Lyme disease. The classical “bulls-eye” rash is often not seen in infected persons. See your doctor immediately if you are suspicious, Lyme is easier to treat at early onset. Note: If you have already been diagnosed with Lyme disease, be just as cautious as you can get re-infected. Dr. Dove stated that she has been treating Lyme disease for several years. The CDC shows 30,000 cases “reported” in a year, but admits that over 300,000 people per year test positive for the disease. Many experts report the figures to be closer to half a million new infections per year. Lyme disease can be in Montana ticks. It is a super bug and it is the hidden cause of many other chronic diseases and infections. Stay protected, stay informed. Here are two tick sprays made with essential oils that you can make at home! This one contains rose geranium essential oil. This recipe is from Primally Inspired, and has been my go-to. Put into a spray bottle (I recommend the blue glass ones). Shake well, spray your clothing, body, pets. It works so well, and you don’t stink, nor will it stain your clothing! This one contains lemongrass and eucalyptus globulus essential oils. I sometimes put one of these in with my geranium as well. Put into spray bottle, shake well, spray on clothing, skin, hair, and safe for pets! Have a safe, healthy year! To contact me for a FREE Get Energized Strategy Session, schedule here, on my website, or send me an email.